A barn cottage in the rural village of High Bickington, the property sleeps six people and has two double bedrooms and a twin room. The ground floor has a kitchen with Aga and dining area, sitting room with open fire, shower room and games room. The 1st floor contains bedrooms as well as a bathroom with a separate shower. Outside there is an enclosed garden with a patio, a picnic table and seating, as well as off road parking for two cars. 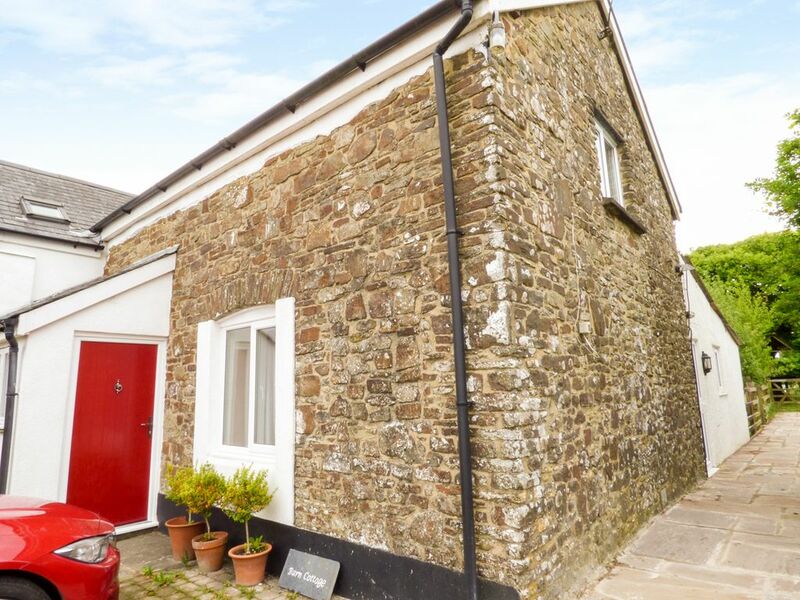 Just a 30 minute drive from Exmoor National Park, this property is an excellent choice for anyone looking to escape to the country. Amenities: Gas central heating with open fire. Aga gas cooker, microwave, washing machine, dishwasher, fridge/freezer, TV with FreeSat, DVD, WiFi, selection of books, games and DVDs. Fuel, power and starter pack for fire inc. in rent. Bed linen and towels inc. in rent. Travel cot and highchair on request. Off road parking for 2 cars. Enclosed lawned garden with patio and furniture. Sorry no Pets. Sorry, no smoking. Shop and pub 1 mile. No stag/hen parties or similar at the property. Note:There is a small holding on the property grounds, with livestock. Town: North Devon village of High Bickington is set in the area known as 'Tarka country'. On a ridge above the Taw Valley boasting views towards Exmoor and Dartmoor, the village offers a Post Office, two pubs, a holistic beauty salon and Libbaton golf course. The small village of Umberleigh is only five miles away and has a railway station where trains run on the Tarka Line to Barnstaple or Exeter. Three bedrooms: 1 x king-size double with basin, 1 x double, 1 x twin. Ground floor shower room with shower, basin and WC. Bathroom with bath, separate shower, WC and basin. Kitchen with dining area (seats 6). Sitting room with open fire. Games room with table tennis, table football and darts. Gas central heating with open fire. Aga gas cooker, microwave, washing machine, dishwasher, fridge/freezer, TV with FreeSat, DVD, WiFi, selection of books, games and DVDs. Fuel, power and starter pack for fire inc. in rent. Bed linen and towels inc. in rent. Travel cot and highchair on request. Off road parking for 2 cars. Enclosed lawned garden with patio and furniture. Sorry no Pets. Sorry, no smoking. Shop and pub 1 mile. No stag/hen parties or similar at the property. Note:There is a small holding on the property grounds, with livestock.